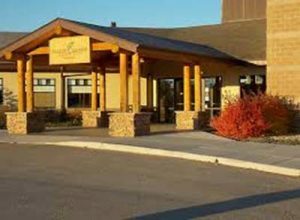 The Platte Valley Community Center is the perfect venue for all of your business and entertainment needs. Book an event with us anytime. Whether you need space to host a small meeting, or are planning a fully-catered wedding for 350, our unique spaces set the stage for your event. 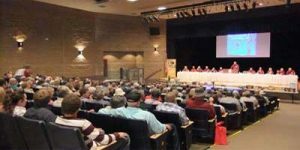 Our state-of-the-art auditorium can hold 404 attendees, making it perfect for large presentations and music or theater shows. 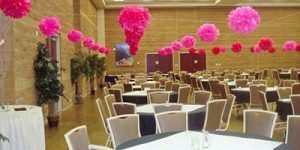 We can accommodate groups of any size and will help you provide your guests with an event they won't forget. Please fill in the form at the bottom of the page to book an event with us, and we'll get back to you as quickly as possible. We look forward to making your event memorable. Rent the Great Hall, with room for 350. Adjoins our full service commercial kitchen. Built-in screen and projector. Sound system with wireless microphones. Place the portable stage anywhere. The room can be divided into three sections. The West Lobby has floor to ceiling windows and is lit at night by chandeliers. With three sets of doors opening from the Great Hall, this is the place for small groups, photo ops or as an extension of the Great Hall. Our Fine Arts Theater seats up to 404 people and is equipped with state-of-the-art theater lighting and sound system. You'll have access to the movie projector, with the option of different size screens for viewing. 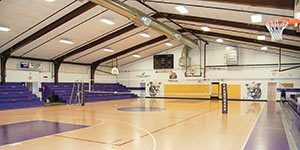 Rent our gym, with two basketball courts, weight room and spinning room. There's also a stage and screen. Make it an afternoon or evening of fun. There's plenty of room, and lots to do. 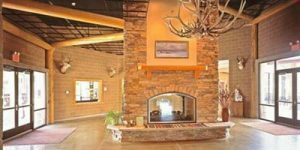 The main lobby is an enticing space, with access doors to the West Patio and a large stone fireplace. Delightful spot to hold your special ceremony, or for a photo op during your event. 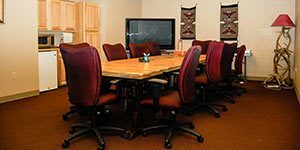 Rent a small meeting room for up to 35 people. Tables and chairs arranged as needed. Equipped with laptops. Monda Pad and projector/screen available. 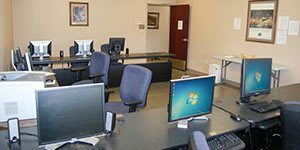 Use our computer lab if needed. Conduct your private meetings in the comfort of a professional board room. This quiet, clean space can fit up to 15 people; can be rented by the hour or longer, as needed. 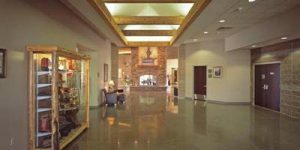 Just off the lobby, the outdoor patio is a sheltered space for guests or attendees to take a break, or get some fresh air. How about an informal live music event out here? Use our parking lot for auto shows or for other outdoor events. You dream it, we'll help you get it underway. PLEASE NOTE: Our Annual Fundraiser for 2019 is scheduled for Friday evening, Sept. 6. That weekend is therefore not available for public events. Thanks for understanding, and please do contact us with another date!